The Trump administration moved on Friday to sweep away virtually all of the remaining vestiges of the Obama administration prosecutors at the Justice Department. They ordered 46 holdover U.S. attorneys to tender their resignations immediately. Demanding resignations from US attorneys is actually standard operating procedure in the DOJ whenever a new administration assumes power. Traditionally this is just standard and the fact that Preet Bharara refused demonstrated he was trying to make a political statement clearly illustrating he could not be trusted. Historically, Presidents clear out almost all the US attorneys from the prior administration. Bill Clinton appointed 80 new US attorneys in his first year of office, out of 93 posts. 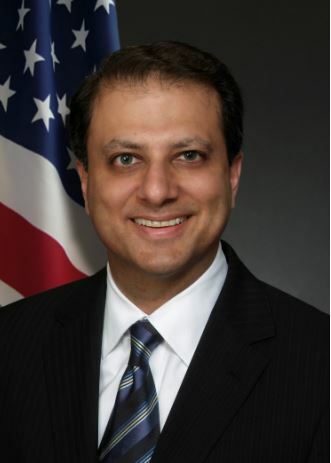 Preet Bharara, the rather notorious Indian-born New York Prosecutor of the SDNY appointed by Obama who has protected the bankers since taking office August 13, 2009, refused to resign. He Tweeted that he was then fired definitely showing he could not be trusted. It was Bharara’s decision not to prosecute any of the bankers when he came to office in 2009. All other prosecutors tendered their resignations and left and most did so before even being asked because this is always a political post. That is simply the way things work. The fact that there were 46 holdovers begs the question why did they try to stay? Then why did Bharara refuse to resign? This seems very strange and he desired to turn this into a political issue against Trump. That really calls into question his motives. The fact that he then Tweets: “I did not resign. Moments ago I was fired” seems like he is obviously trying to play politics here. Prosecutors can do anything to anybody for the system is just too corrupt. Chief Judge Sol Wachtler of New York state, coined the term in a January 1985 interview with the New York Daily News‘ that a prosecutor has so much power that is one-sided since a defendant cannot present any evidence to refute their claims he delivered the famous saying that prosecutors can “indict a ham sandwich.” Wachtler believed grand juries “operate more often as the prosecutor’s pawn than the citizen’s shield.” Indeed, Peet Bharara illustrated that he is politically motivated, not moved by the Constitution or the rule of law. In retaliation for Wachtler’s views that prosecutors had way too much power, they indicted him in 1992. « Will Trump Succeed? No!